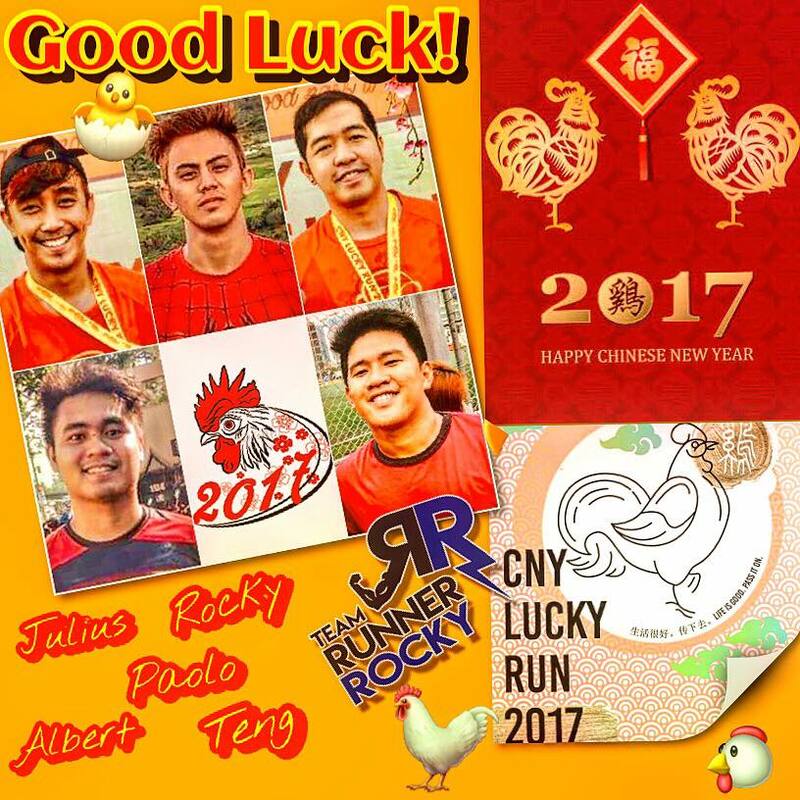 The boygroup of sports, events, and online community, the Team Runner Rocky is set to start the year of the roaster via the CNY (Chinese New Year) Lucky Run 2017. Five of the team members will be running on this Chinese-inspired running event this Saturday, January 28, 2017 at the SM By the Bay, MOA. They are Paolo Mesina, Julius Ceasar Aquebay, Albert Dairo, Teng Lequin, and yours truly the Runner Rocky, Rocky Chua. Julius and I will be running here for the second time around. We were part of its pioneer edition last year. On the other hand, this will be the first time of Paolo, Albert, and Teng to join in this exciting fun run organized by AffiniTea Race. Run United 2017: Trilogy No More! Is Addy Raj #MeantToBe for Team Runner Rocky?! Meet Team Runner Rocky's The "Magic 12"